Finally i´m getting things done on the fat bike. I ordered new wheels from Slam69. Surly Larry rims and Hope Fatsno hubs. 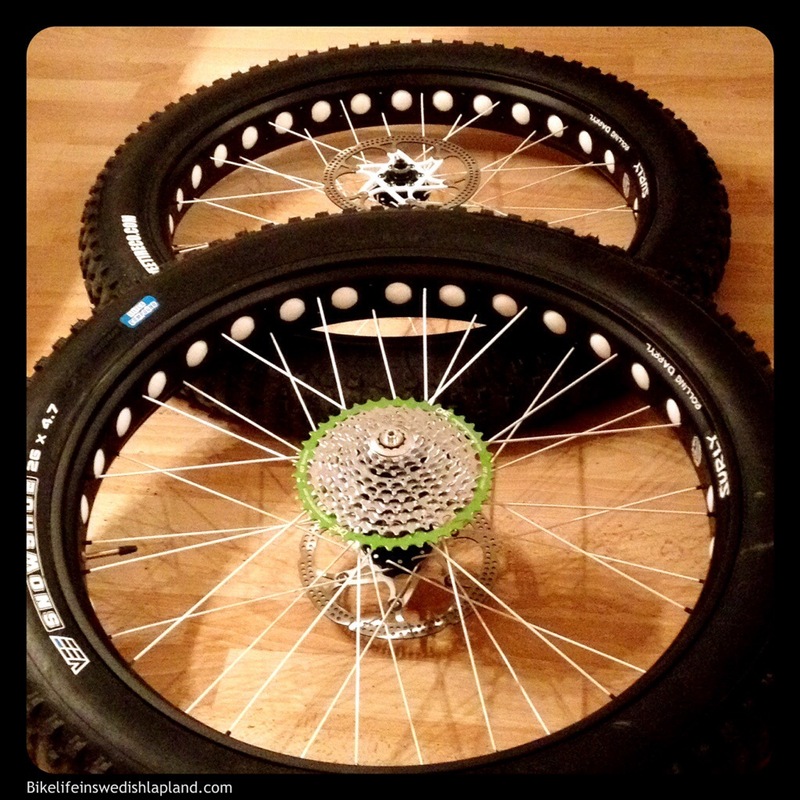 A beautiful custom hand build set with white spokes from The Slam Man. I also wanted to go 1×10 but due snowy conditions needed the low gears. 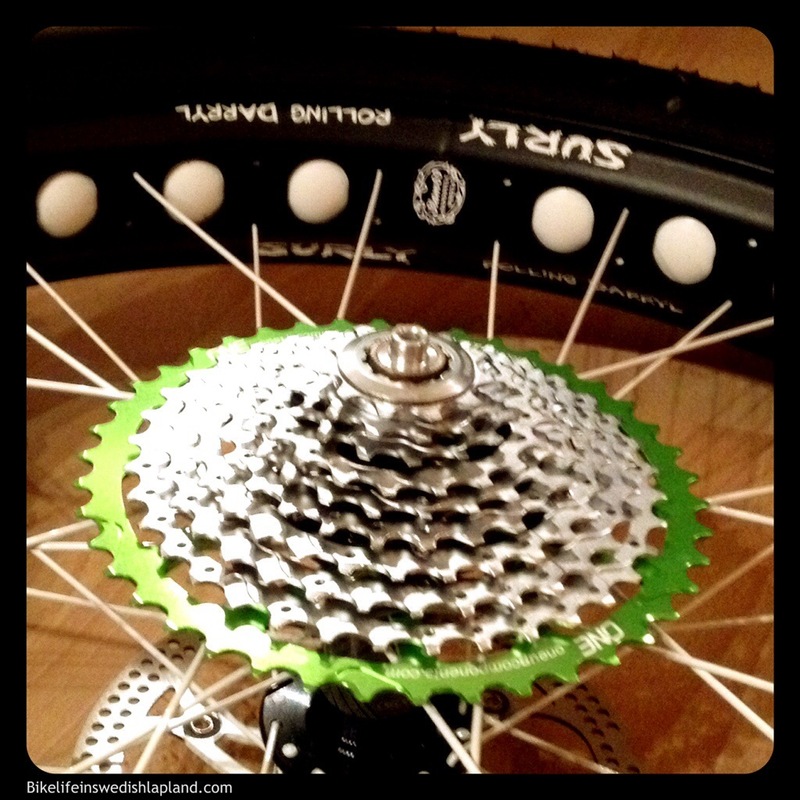 With OneUp components awesome 42t sprocket it´s possible. Being a geek and all i also went for new discs from Superstar components. I run Superstar on my AM rig and i like them. 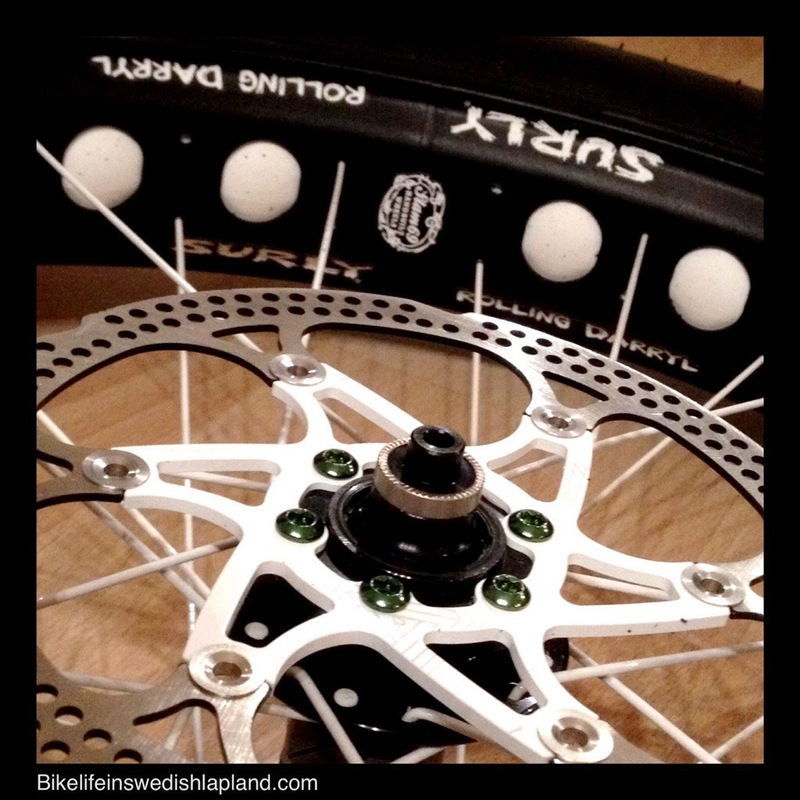 Alpine rotors are available in white and green bolts just look great with the white/green frame and the white spokes. Now i´m just waiting for the skewers so i can fit the wheels… I sold my old wheels to The Lars for his new Mukluk. We are working on it right now and a build report is coming up on as soon as we are ready. Thanks! Cant wait to try them out. Lars will soon be posting an update on his Muk build. (golden) Sorry for confusing you. I just added Lars as a co writer. Cheers!